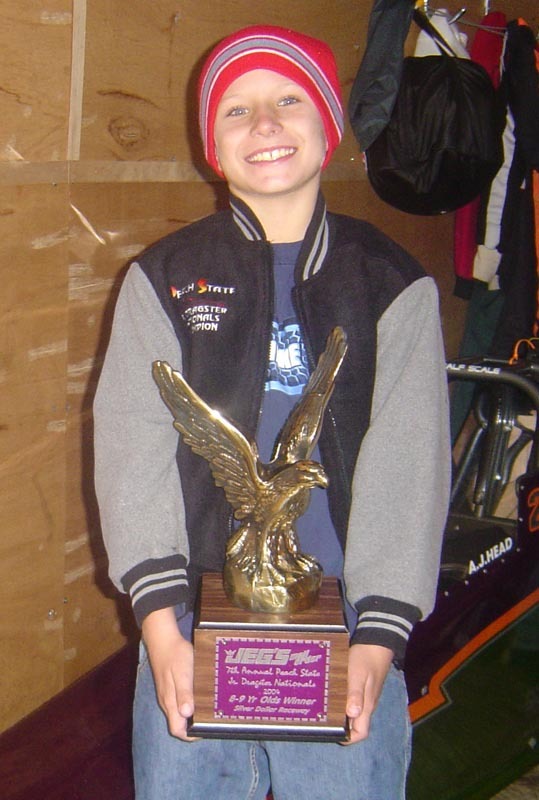 AJ Head pictured in the Winner’s Circle at the Peach State Nationals 2004. AJ was on the winning team at the Eastern Conference Finals in 2005 and was a semi-finalist in the 8.90 index and 10-12 bracket at this year's Peach State Nationals. 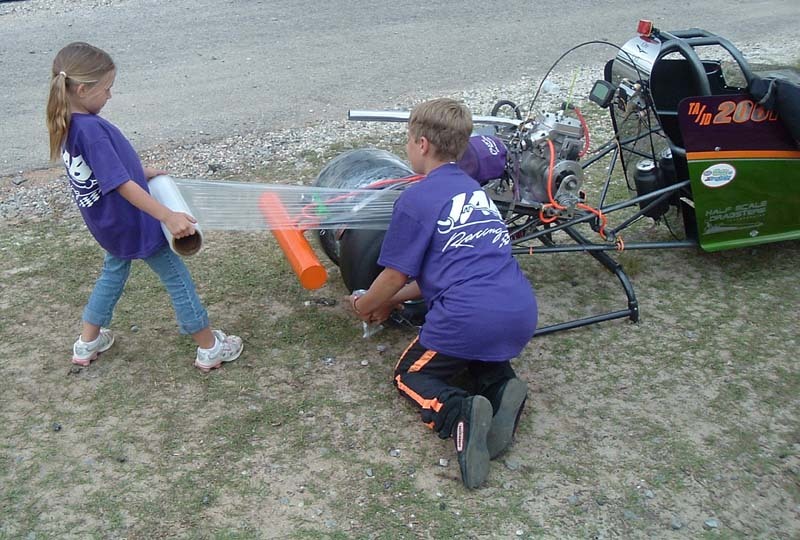 Also pictured are AJ and crew preparing his car for another round.